We got the beat! Head Over Heels, the new musical featuring the iconic songs of The Go-Go's, has found its Broadway home. The previously announced musical will play the Hudson Theatre, with previews slated to begin on June 23 and an opening set for July 26. The production will first play an out-of-town engagement at San Francisco's Curran theater from April 10 through May 6. The principal cast will feature Rachel York (Disaster! ), Jeremy Kushnier (Cirque Du Soleil Paramour), Alexandra Socha (Spring Awakening), Taylor Iman Jones (Groundhog Day), newcomer Bonnie Milligan and RuPaul’s Drag Race's Peppermint, who will be the first trans-woman actress to create a principal role on the Great White Way. Rounding out the principal cast will be Andrew Durand (Spring Awakening) and Tom Alan Robbins (The Lion King). The ensemble will include Sharon Catherine Brown (Dreamgirls), Yurel Echezarreta (Aladdin), Lisa Finegold (Rock of Ages), Ari Groover (Holler If Ya Hear Me), Gavin Lodge (Annie), Samantha Pollino (Hot Feet), Justin Prescott (Cirque Du Soleil Paramour), Tanner Ray Wilson (Cats), Ricardo Zayas (Hamilton), Brian Flores, Tanya Haglund, Arica Jackson and Gregory Liles. 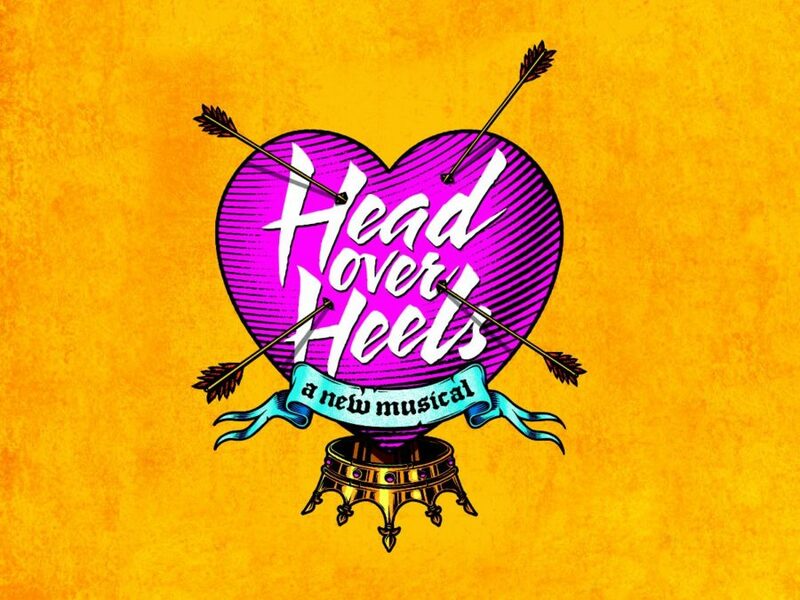 Additional casting for Head Over Heels will be announced at a later date. The show held a 2017 workshop that starred Michael Park, Kristolyn Lloyd, Rachel York, Tom Alan Robbins, Bonnie Milligan, Alexandra Socha, Andrew Durand, Lawrence Alexander, DeMarius R. Copes, Yurel Echezarreta, Ari Groover, Brandon Hudson, Nina Lafarga, Samantha Zack, Jenny Laroche and Shakina Nayfack. James Magruder has written the show's book (adapted from an original book by Avenue Q Tony winner Jeff Whitty), with Tony winner Michael Mayer (Hedwig and the Angry Inch) as the musical's director and Spencer Liff (Falsettos) as choreographer. Gwyneth Paltrow is onboard as one of the show's producers; Head Over Heels will mark the Oscar winner's first Broadway outing.